IT IS that time of year to savour flavourful dumplings, better known as bak chang. Traditionally savoured on the fifth day of the fifth month in the lunar calendar, in conjunction with the Dragon Boat Festival on June 12, Chinese restaurants are getting busy preparing ingredients to make the most sought after glutinous rice dumplings of the year. From the Lai Ching Yuen kitchen, dim sum specialist chef Thye Yoon Kong has ingeniously thought of incorporating the abalone into the authentic glutinous rice dumplings for a different twist. “It is perfect for both lunch, dinner or as gifts for loved ones,” he said. 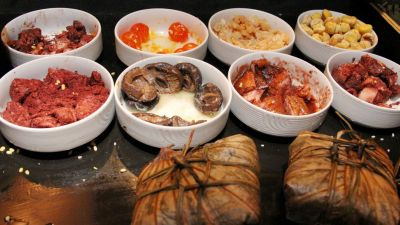 The restaurant will also be serving the traditional glutinous rice dumpling with roasted pork, glutinous rice dumpling with dried scallops and roasted duck meat, and the sweet glutinous rice dumpling with white lotus paste served with honey syrup. The dumplings are much bigger than the usual ones sold widely and is ideal for two. 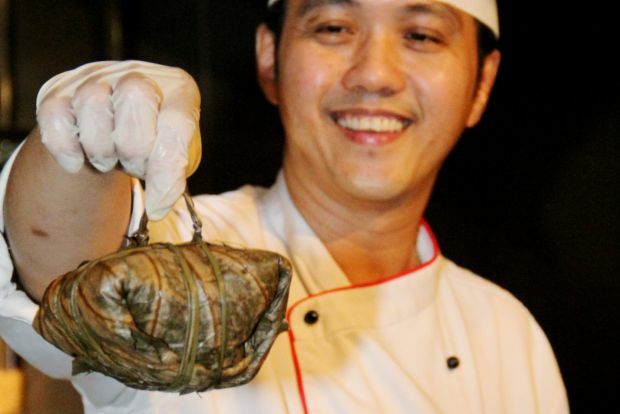 Only the traditional roasted pork dumpling was folded into a triangular shape while the rest were square in shape. For the price, the fillings were generous and the meat juicy. Every bite comes with some of the ingredients to add on to the flavourful rice. The sweet glutinous rice dumpling with white lotus was very soft and literally melts in the mouth. The honey syrup complements the rice nicely. Quite a variety: The array of ingredients used in making dumplings. The Lai Ching Yuen rice dumplings are available until June 23 and are priced from RM28++ to RM68++. This is the writer’s personal observation and is not endorsed by StarMetro.